Bitcoin investing: I made $152 by speculating in digital currency. Take that, suckers. Now, how am I going to spend the $152 I raked in? Two weeks ago, I was racked with indecision, my life at a crossroads: Gulfstream or Learjet? Bugatti Veyron or that new Tesla Model S? Should I summer on Nantucket or the Vineyard? Against all wisdom, I had invested $1,000 in bitcoin, the crazy cryptocurrency whose value had been skyrocketing since the start of the year. After jumping through many hoops to get my cash to a shady-looking bitcoin exchange site, I’d purchased 7 bitcoins for $138 each. Within a few days, the value of bitcoins had shot up past $200, and there was no end in sight. Then, just before noon, while writing up a help-wanted ad for a butler, I spotted a strange Business Insider headline on Twitter: “Bitcoin Is Crashing.” At first, I thought it was a mistake, that Business Insider had simply misspelled “reaching new heights.” But when I checked the bitcoin charts, my heart began to sink. Sometime that afternoon, the bottom began to fall out of the market. Within a 10-minute period, as I watched trades being executed on Bitfloor, prices crashed from around $170 all the way down to $110. They rebounded later, and then began plummeting again. My heart was pounding. My future was crumbling. I really, really didn’t want to sell—I suspected the volatility was just a short-term thing, and that prices would soon begin to climb. On the other hand, I didn’t want to lose my shirt. I’d invested $1,000 in bitcoin, and given the apparent fragility of every site handling my money, there seemed to be a real possibility that I could lose it all. I put in a sell order during one of the bitcoin upswings. A few minutes later, to my relief, my order went through—I’d sold all my coins for an average of $163 each. I’d put $1027.50 into bitcoin (including the service fee I had to pay to transfer money to a trading site) and now I had $1,179 in my account. In a week’s time, I’d made $152, a 15 percent return. So, not a terrible outcome—my bitcoin misadventure could’ve had a much worse outcome. Though they insisted it was nothing personal, a lot of commenters on my original piece said they were hoping I’d lose all my money. And for the next week, bitcoin’s value dropped so low that, if I’d held on, I would indeed have been in bad shape. In the hours after the Boston marathon bombing, bitcoin hit a low of $50. Since then, it’s slowly clawed its way back. This week it has hit a high of $166, though as I write this, it’s hovering at around $134. As every investor knows, you can make yourself crazy looking at the day-to-day fluctuations of any market. If I had the stomach for the volatility—or the willpower not to monitor the fluctuations every few minutes—I would have bought bitcoins at $50. I still put stock in my larger theory: Once the sites that manage bitcoin become easier to use, more people will buy the currency and bitcoin will take off. 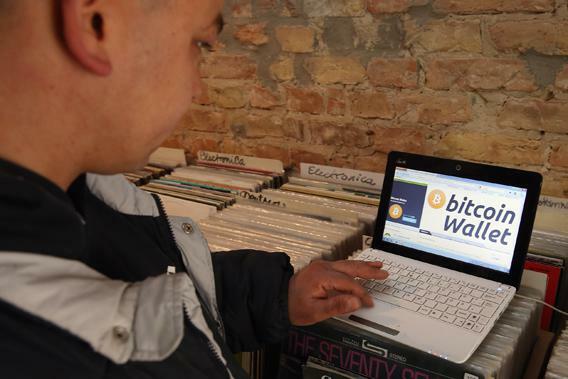 There are some genuine uses for it as a currency—there are plenty of people who want to transfer money anonymously, over long distances, for free. Bitcoin is the best way to do that right now. And because there are a limited number of bitcoins, as demand increases their value relative to the dollar will increase as well—settling in at somewhere over $200, I’d guess. In other words, if you were hoping for me to lose all my money, you still might get your wish.